Unfortunately he didn’t calculate in that this chipmunk would be a bit feisty :O But the big question is why did the cameraman not help! P.S: Why not sign up to our Newsletter by clicking here. This entry was posted in Mews and tagged cat, cats, chipmunk, cute, funny, katze, katzen, kawaii, video, YouTube, ねこ, ﾈｺ, 猫. Guest star: Peter the Cat dog! To be brutally honest – Mr. Cat did not look undernourished. He should take a tip from Purrbot on how to successfully bring home dinner. MOL! ? So funny!! A chipmunk with attitude!! Love it! 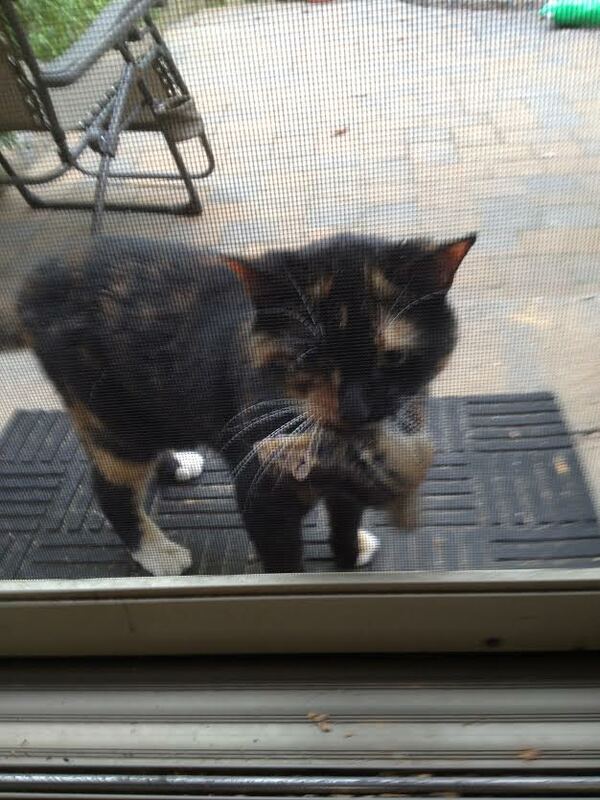 At one time I had a cat who would eat chipmunks like candy. Two bites and gone. ha ha! chipmunk got away. That is a good question…. That is a brave chippy. Very funny and cute post. I am happy the chipmunk made a friend instead of BEING lunch! Hilarious to see. This is great. Finally got a cat loss on video against a rodent. Cat needs to do basic again. You know the camera crews always say they are unbiased and don’t interfere with the action. Although this was a cute, happy video, there are other videos that I would like to slap the videographer. We had a cat that would routinely catch baby rabbits, moles, chipmunks and other little furry critters, then let them go and watch them run away, or lie on the ground for a few seconds, stunned by their experience. He was very well-fed, and his previous owner had declawed him 🙁 , so it was a marvel he was able to catch anything at all. But he seemed to do it just for the fun of catching things. It certainly wasn’t fun for the animals he caught and brought home, and not all of them survived their ordeal. But I’m glad the chipmunk got away! Oh 🙁 I don’t understand why people would declare a poor cat. Glad he still managed to enjoy life! That is so funny ! And I’m glad the little critter got away after getting a few swipes in first.